Today I would like to introduce Kara from Destined for Now…. Nowhere is this more true than in California. April has been a stormy month for us, but the flowers are just beginning to bloom. There is so much inspiration everywhere I look and it is definitely the bright flowers that strike me the most. 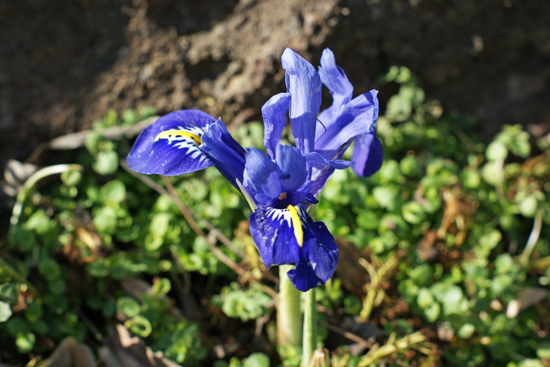 I adore irises and there are quite a few blooming in my backyard. The deep purple and bright yellow are so striking. It was so easy for me to come up with an outfit. I knew as soon as I saw the irises blooming that my bright yellow cardigan would be a perfect match for the vibrancy of this flower. It was so fun to make this outfit come together based on such a great inspiration. I knew I had to top it off with a cute hat to keep the tone really fun and surround my yellow in the deep blue-purple color. 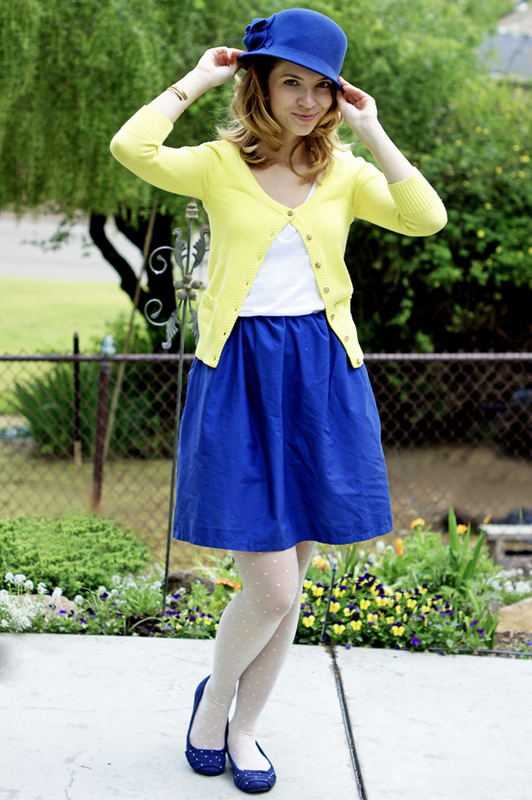 After the cold weather clothing of April, it is wonderful to put on a skirt and bright colors for May. There is truly no greater proof of the “flowers” of May than seeing everyone dressed up cute and happy for summer. Love this outfit. 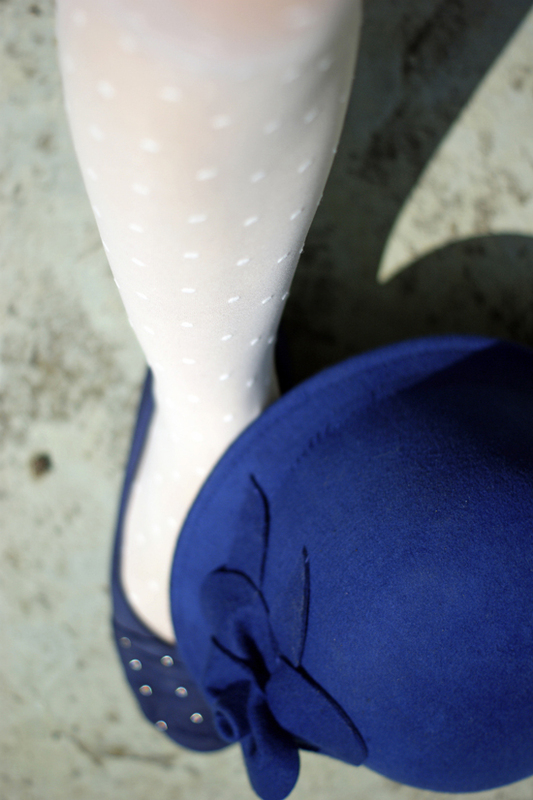 The 2 colours work so well together!